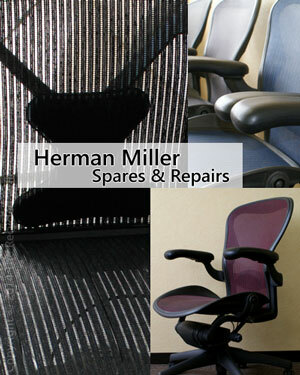 Our office chairs are Herman Miller Aeron Chairs – can they be repaired? If you find that maybe the gas cylinder or lumbar support isn’t working as well as it should be – the Aeron chairs can definitely be repaired. The chairs are well designed and parts are excellent quality, as it’s all about sustainability. That’s why considering repairing an Aeron or Mirra chair for that matter, is a really useful option as it helps extend the use of the chair, rather than buying new. This entry was posted in Chair Repair & Reupholstery and tagged aeron chairs, herman miller aeron chairs, herman miller chairs, repair, servicing on 1 Jun 2014 by admin.